We are providing our precious customers with a wide range of Fusion Mirror. The offered product is known for its supreme strength and durability. It is checked on all the industry set norms ensuring that it is defect free. Our customers can avail these products at a pocket friendly rate. 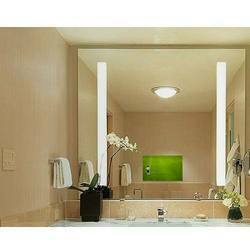 The fusion mirror is a lightning mirror with hidden LED and two bands of vertical frosted light. 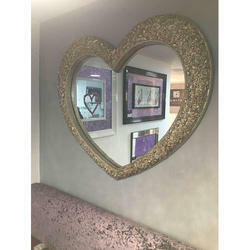 This mirror is come in different standard sizes and has May custom upgrade options. It is made up under the supervision of our professionals by using premium quality products and latest techniques as per the set market standards. The different glass pieces that are melt onto another glass surface to fuse together, this leads to a variety of designs that are used to create mirror frames. We bring forth to our clients with a qualitative range of Fusion Mirrors. The different glass pieces that are melt onto another glass surface to fuse together, leads to a variety of designs that are used to create the mirror frames. These Colored glasses are available in different shapes, sizes, paints, colors, patterns and designs. We offer these colored glasses which are rich in color and widely used for the residential and commercial purposes for the decoration of windows, ceilings and doors.